Months after Trump vowed to pull US out of Syria, US reportedly planning to leave almost half of troops currently stationed in Syria. The US is planning on leaving a significantly larger force in Syria even after it withdraws its forces from the civil war-ridden state, according to a report Sunday evening. Despite President Donald Trump’s announcement in December that he had ordered the Pentagon to pull all American forces out of Syria within 30 days, the US is now apparently drawing up new plans which would see as many as 1,000 US soldiers remaining in Syria – or roughly half of the force deployed to Syria prior to the December 2018 order. The Wall Street Journal, citing unnamed US officials, said that talks between the US, Turkey, European powers, and Kurdish militias in northeastern Syria had failed to produce an agreement under which Turkey would fill the vacuum left by the US withdrawal. As a consequence of this failure, the US is now preparing to scale back the withdrawal, leaving up to half of its pre-withdrawal force in Syria. While some senior US officials – including National Security Advisor John Bolton – signaled that the US may retain a foothold in eastern Syria at the Al-Tanf enclave, President Trump suggested the US would remove most of its forces from the country, handing over control of northern Syria to Turkey. The White House suggested up to 200 soldiers might be left in Syria, with officials later suggesting the final figure could be twice as many. Now, however, the White House is looking to retain a much larger presence in Syria than originally planned, though it still intends on withdrawing some forces once the last ISIS stronghold is captured. President Trump’s December announcement that the US would withdraw all forces from Syria had stoked fears among some regional allies, including Israel and the Gulf States, that the departure of the US could leave a vacuum for Iran to fill, allowing Tehran to expand its military presence in Syria. 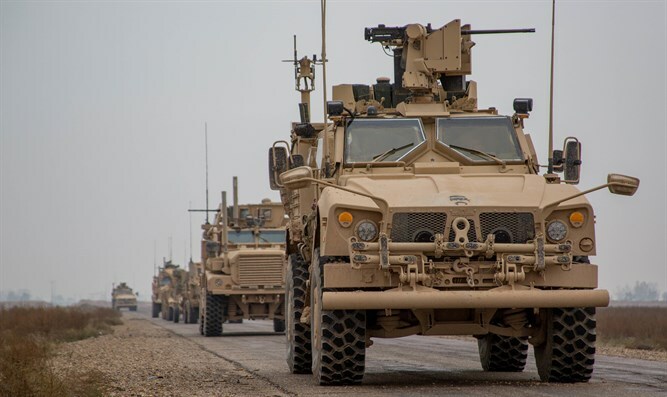 The initial pull-out plan also raised concerns regarding the Kurdish population in eastern Syria, which had relied in part on the US presence to stabilize the area.